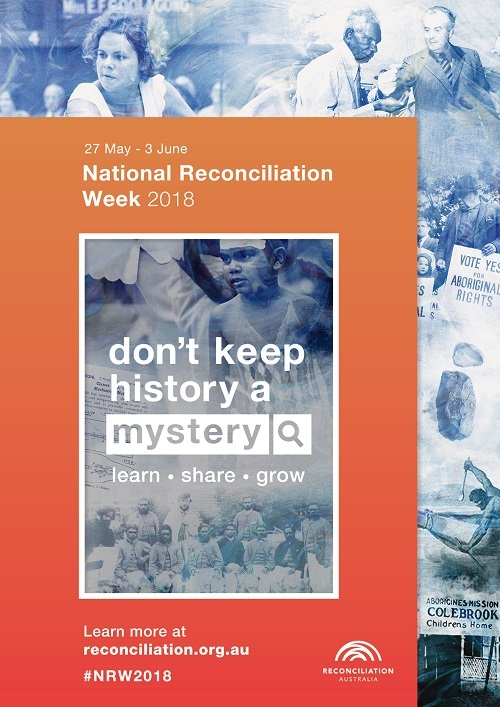 National Reconciliation Week 2018 (27 May to 3 June) has begun and the theme of this year's event, ‘Don’t Keep History a Mystery' encourages people to participate in reconciliation events and to familiarise themselves with important events in Australia’s history. Chief Executive of the St Vincent de Paul Society National Council of Australia, Dr John Falzon, said the fact Aboriginal and Torres Strait Island people suffered great injustices and continued to experience many forms of inequality, was a matter of deep sadness and shame for us as a nation. “The path to reconciliation must include recognition of our shared histories and acknowledge the achievements and strong contributions our First Nation’s People have made despite facing great injustice,” Dr Falzon said. The organisers of National Reconciliation Week (NRW) are inviting Australians to learn, share, and grow – by exploring our past, learning more about Aboriginal and Torres Strait Islander histories and cultures, and developing a deeper understanding of our national story. 27 May and 3 June are dates that commemorate two significant milestones in the reconciliation journey— the successful 1967 referendum, and the High Court Mabo decision, respectively. In addition to these two anniversaries, National Sorry Day is marked on 26 May. The day was first held in Sydney in 1998 and is now commemorated nationally to remember and honour the Stolen Generations. Last year marked the 50th anniversary of the 1967 referendum, plus 20 years since the Bringing Them Home Report was tabled in Federal Parliament, exposing the extent of forced child removals. The report’s 54 recommendations included the need for an apology to the Stolen Generations, and provision of services to create healing and well being for those affected. Another 11 years later, on 13 February, 2008, former Prime Minister Kevin Rudd delivered a speech apologising to the Stolen Generations on behalf of the Australian Government. Learn more about Vinnies’ support for reconciliation and involvement with Aboriginal and Torres Strait Islander People. During NRW you can participate in activities and events that focus on the value of recognition. Read our submissions. In its role of advocating for the rights of marginalised groups in the community, the St Vincent de Paul Society regularly makes written submissions, or reports, to Members of Parliament, government inquiries and independent commissioners. Explore how you can contribute to achieving reconciliation in Australia.